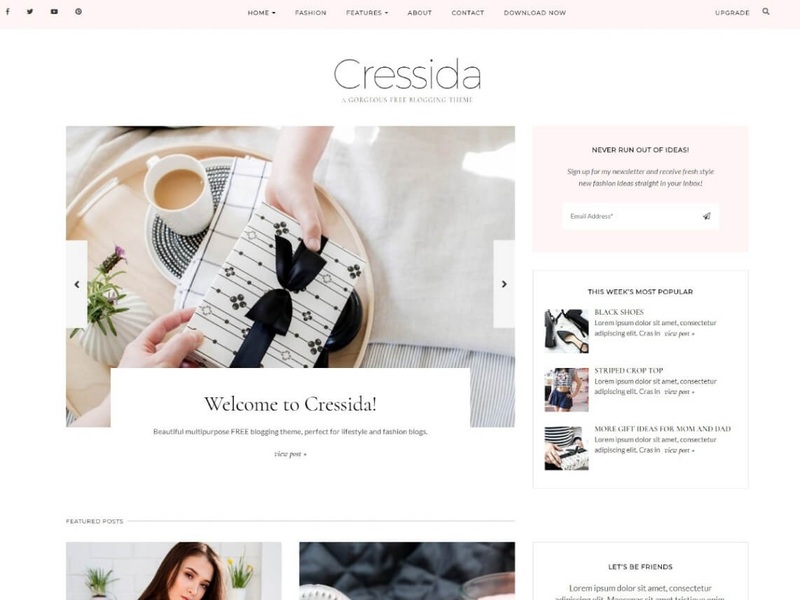 Cressida is a beautiful, elegant, professionally designed free blogging theme for WordPress. Perfect for fashion blogging, lifestyle blogs, food blogs, personal blogs. Super easy to set up, with a wide range of options to customize. Cressida comes with a special front page, with featured posts, highlight post, posts strip, promo category, and multiple footers and header widgets. It also supports a posts slider, banner, or slider with a sidebar on the front page. Includes RTL support. Cressida is backed by world-class, one-on-one support, and a super active team of developers and designers ready to help!